Alec Martinez scored with 55 seconds to play to lift the Kings to a 4-3 win over the Rangers Sunday afternoon in Los Angeles. The win snapped a six-game losing streak for the Kings. Martinez fired a wrist shot between the legs of Brendan Smith and past Henrik Lundqvist for his first goal of the season. With the loss, the Blueshirts are still winless on the road this season [0-4-1] and have now lost 4 of their last 5 games. New York led 2-0 midway through the 2nd period, on goals from Vladislav Namestnikov and Tony DeAngelo. But the Kings tied it before the end of the period, 2-2. Dustin Brown, playing his first game of the season after missing ten games with a broken finger, scored a power play goal at 11:23, putting a rebound past Lundqvist to make it 2-1. And Ilya Kovalchuk‘s wrister 1:51 later, another power play goal, tied the game. In the 3rd period, Trevor Lewis put the rebound of an Adrian Kempe past Lundqvist at 10:28 to make it 3-2 Kings. But Ryan Spooner, off a DeAngelo pass, beat Jack Campbell with 4:44 remaining in the game, to tie the game 3-3. The Rangers [now 3-7-1, 7 pts] continue their four-game road trip Tuesday in San Jose against the Sharks. The Rangers’ problems putting the puck in the net continued Thursday night in Chicago, spoiling a strong performance by Henrik Lundqvist, as the Blackhawks beat the Rangers, 3-1. The Blueshirts were thwarted by the Blackhawk defense all game long, and could only muster one shot on goal in the entire 3rd period. They finished the game with 19 SOG. Lundqvist made 33 saves. Corey Crawford made 18 saves. Jonathan Toews [1st period, 2:55], Alexandre Fortin [2nd period, 10:33], Patrick Kane [3rd period, 15:39], and Alex DeBrincat [an empty netter with 1:09 to play] scored the Chicago goals. Pavel Buchnevich‘s 3rd goal of the season [4:09 into the 1st period] was the only New York goal. 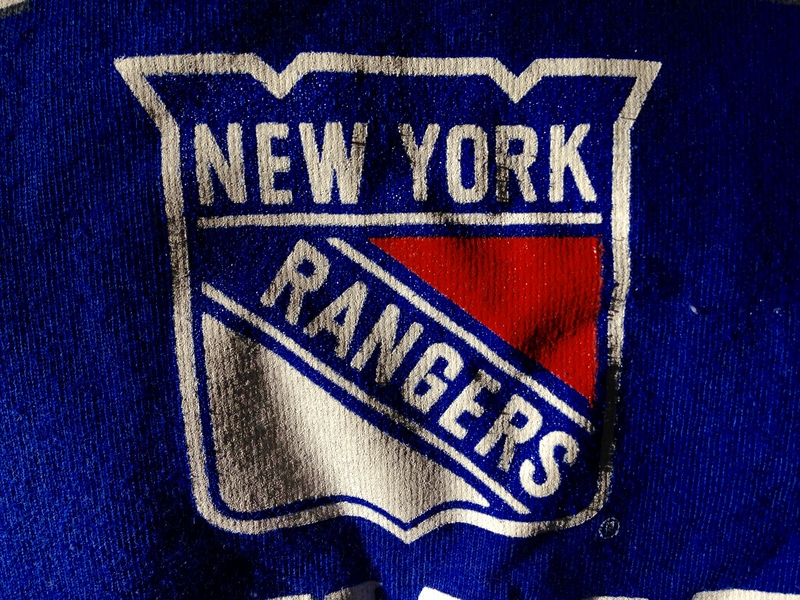 The Rangers [now 3-6-1, 7 pts] play the Kings in Los Angeles Sunday afternoon. 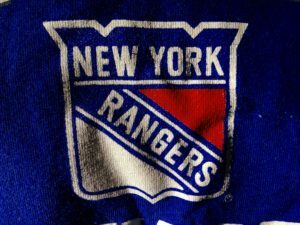 Mika Zibanejad and Mats Zuccarello each scored two goals, and the Rangers cruised to their first regulation win of the season, 5-2, over the Florida Panthers Tuesday night at The Garden. Zibanejad, who also had two assists, had the first four-point game of his career. Alexandar Georgiev made 36 saves for his first win of the 2018-19 series. After scoring only 18 goals in their first 8 games, the five goal by the Blueshirts matched their season-high. Coach David Quinn moved Zuccarello up to the top line, with Zibanejad and Chris Kreider, for the game, and Zuccarello responded with his first two goals of the season. After trailing 1-0 at the end of the 1st period, the Rangers came alive in the 2nd period. Zibanejad scored a shorthanded goal at 3:10, on a wraparound, to tie the game, 1-1. Then Zuccarello scored his first goal of the season, a power-play goal, at 11:36, to give New York a 2-1 lead. Zibanejad got a power-play goal of his own at 16:08, a wrist shot from the left face-off circle, that made the score 3-1. It was Zibanejad’s 5th goal of the season. In the 3rd, Zuccarello’s goal just 87 seconds into the period made it 4-1. Vincent Trocheck had the first Florida goal. Mike Hoffman‘s wraparound goal at the 10:37 mark of the 3rd made it 4-2. Kevin Hayes was credited with an empty-net goal with 52 seconds to go for the final 5-2 margin. Neal Pionk had two assists, and now has six assists in the last three games. The Rangers [now 3-5-1, 7 pts] begin a four-game road trip Thursday night in Chicago. 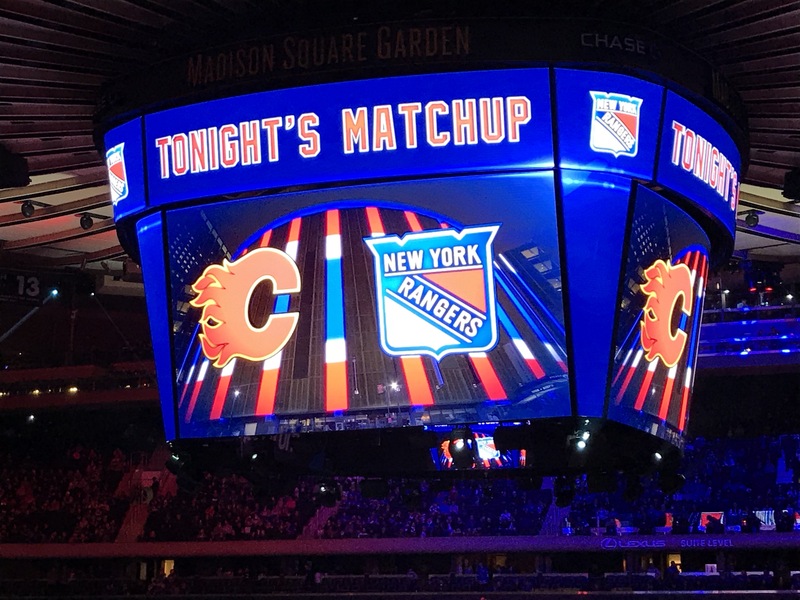 Johnny Gaudreau and Garnet Hathaway each scored a pair of goals to spark the Calgary Flames to a 4-1 win over the Rangers Sunday night at The Garden. Calgary backup goalie David Rittich made a career-high 44 saves to get the win. Gaudreau scored with 3:00 left in the 1st period to make it 1-0, and tallied his second goal of the game with 5:05 left in the 2nd period. He now has 5 goals in 8 games on the season. Hathaway scored at the 12:21 mark of the 2nd period, off a nice assist from Mark Jankowski, to make it 2-0 Calgary. His 2nd goal of the game came with 1:53 to play, for the final 4-1 margin. The Rangers had 20 shots on goal in the 3rd period, but only got one past Rittich. Mika Zibanejad scored the Blueshirts’ only goal of the game, a power play goal 6:41 into the 3rd period, that made it 3-1. Henrik Lundqvist made 22 saves. The Rangers [now 2-5-1, 5 pts] host the Florida Panthers Tuesday night at The Garden. Henrik Lundqvist stopped Gabriel Landeskog on the final shot of the shootout, and the Rangers hung on for a 3-2 win over the Colorado Avalanche Tuesday night at The Garden. Kevin Shattenkirk‘s goal moments earlier in the shootout proved to be the game-winner. Lundqvist and Colorado’s Semyon Varlamov put on a goaltending show throughout the game; Lundqvist stopped 31 of 33 shots, and Varlamov made 41 saves. The Blueshirts, who never trailed, jumped out to a 1-0 lead midway through the 1st period when Chris Kreider deflected the puck past Varlamov for a power-play goal at 12:07, for his team-leading 3rd goal of the season. The teams traded goals throughout the 2nd period. Landeskog’s power play goal at 8:13, off a deflection, made it 1-1. Then Kevin Hayes put the Rangers back on top, 2-1, with a wicked wrist shot past Varlamov at 10:53. Then, in the closing minute of the period, after two spectacular saves by Lundqvist, the Avalanche tied it, 2-2, with 0:19 to go in the period, on a deflection goal by Nate MacKinnon, his 7th goal of the season. Neither team scored in the 3rd period, or in the five-minute OT, despite a power play for the Rangers. In the shootout, Mats Zuccarello [who had two assists on the night] and Shattenkirk scored for the Rangers. Mikko Rantanen scored for Colorado. The Rangers [now 2-4-0, 4 pts] play the Washington Capitals Wednesday night. Brady Skjei‘s goal, just 37 seconds into overtime, gave the Rangers a 3-2 win over San Jose Thursday night at The Garden, their first win of the 2018-19 season. It also gave David Quinn his first win as an NHL coach. Henrik Lundqvist made 41 saves for his first win of the season. The Sharks led 2-1 late in the 3rd period, until Brendan Smith‘s wrist shot in front of the net, off a pass from Pavel Buchnevich, beat Aaron Dell to tie the score with 2:37 left in regulation. San Jose took a 1-0 lead 4:31 into the game on a shorthanded goal by Marcus Sorenson. Sorenson spun Skjei around like a top, and then beat Lundqvist for his 1st goal of the season. But the Rangers answered midway through the period, on a highlight reel goal from Brett Howden at 13:52. Howden, right in front of the net with Brett Burns defending him, backhanded the puck between his legs, and past Dell to tie the game, 1-1. In the 2nd. Joonas Donskoi finished off a 3-on-1 rush to score at 4:59 and make it 2-1 San Jose. The score would stay 2-1 until Smith’s heroics in the 3rd. 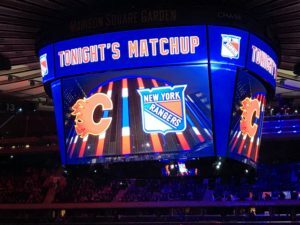 The Rangers [now 1-3-0, 2 pts] host Connor McDavid and the Edmonton Oilers Saturday afternoon at The Garden. The Rangers opened the 2018-19 season Thursday night at The Garden, losing to the Nashville Predators, 3-2, and spoiling the NHL debut of new Rangers head coach David Quinn. P.K. Subban‘s slapshot goal 3:26 into the 3rd period broke a 1-1 tie, and an empty-net goal by Colton Sissons with 1:24 to play made it made it a 3-1 game. Pavel Buchnevich cut it to 3-2 with 35 seconds to play, but the Blueshirts could not score the equalizer. A scoreless 1st period was highlighted by the play of goaltenders Henrik Lundqvist and Pekka Rinne. Lundqvist made nine saves in the period, including a terrific save on Craig Smith late. Rinne stopped seven shots, including one diving stop on Mats Zuccarello in the closing seconds. Nashville broke the scoreless tie at the 3:54 mark of the 2nd period, when Filip Forsberg made it 1-0. Jesper Fast tied the game, 1-1, at 7:34, off a sweet assist from Filip Chytil. Lundqvist finished with 30 saves. Rinne stopped 34 of 36 shots. Sissons had a goal and an assist for Nashville, while Mattias Ekholm had two assists. Cody McLeod, Tony DeAngelo, and Frederik Claesson were healthy scratches for the Rangers. The Rangers [0-1-0, 0 pts] are back in action Saturday, in Buffalo, against Jack Eichel and the Sabres.